Gurock Software specializes in tools for software development teams and quality assurance departments. Our products help customers world-wide to build rock-solid software and to boost their software development efforts. Gurock Software was founded in 2004 and is located in the lovely medieval town of Soest in Germany. Our philosophy is to build powerful tools with beautiful and highly usable interfaces. 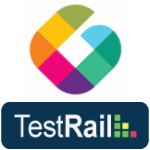 Our test management software TestRail can be integrated with many third-party tools and systems, including JIRA (as well as JIRA OnDemand), FogBugz, Redmine and dozens of other issue trackers. You can also integrate TestRail with test automation tools using our API or link TestRail to single sign-on systems like Active Directory or LDAP. You can learn more about the various integration options in our documentation.